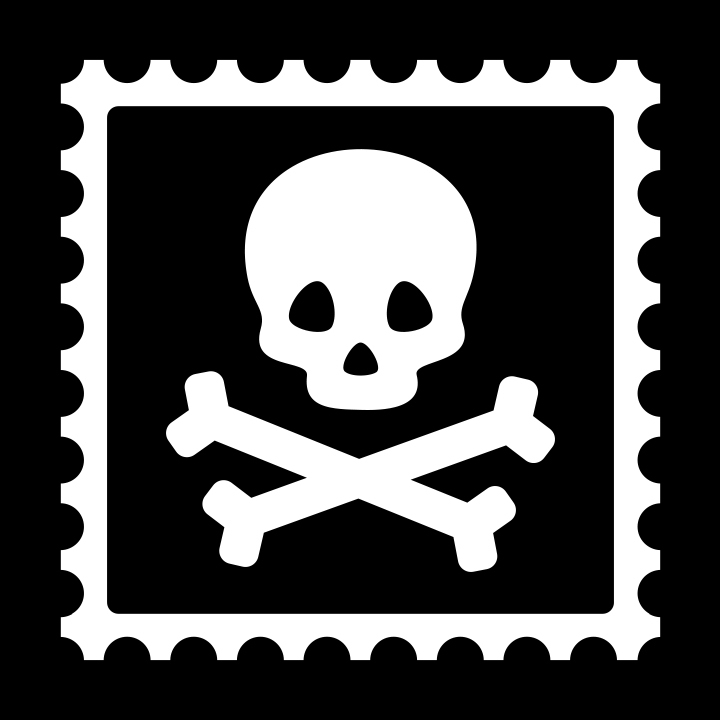 In this video, we’re going to show you how to print a Pirate Ship shipping label using a common printer on a Mac using Google Chrome, Apple’s Safari, and Mozilla Firefox web browsers. First, have you printed anything recently? If you haven’t, you should follow the directions that came with your printer to set it up. Once you’ve successfully printed any document, it’s time to print your label! Since we’re using a regular desktop printer, we’ll be using plain-old 8.5x11-inch paper, which you can tape to your packages…but we recommend getting half sheet sticker paper, so you can peel and stick. You can find half sheet sticker paper at your local office store or search for it online. If you’re shipping lots of packages, we definitely recommend getting a label printer like the Rollo Printer. After you’ve bought a shipping label, click the giant green “Print Label” button. At the top of the popup, select the label format you need for your printer. A regular desktop printer will print on 8.5x11 inch paper, which can fit up to two labels per page. The 4x6 inch option is for label printers, so only choose this format if you’re using that type of printer. Once you’ve selected the label format, Pirate Ship will generate a label preview below, as long as you’re using a web browser that supports it, like Google Chrome. We recommend using Chrome because it supports in-line PDFs, which will simplify printing your labels. In Chrome, when you put your cursor over the label preview, there’s this little print button on the top right, which will save you a couple extra steps when printing your labels. As you can see, clicking it opens a printing dialog box without having to download the file. Firefox and in Window’s Edge do not support inline-PDFs so there will not be a label preview. The PDF will open in a new tab. Select the tab; and at the top right, click the printer icon. First, make sure the printer you want to use is selected. In Firefox, click the Properties button. In Edge, you can select “Let the app change my printing preferences.” This should auto-configure the format for your printer. But for the sake of the example, we’ll leave it unchecked. If you selected 1 Shipping Label per Page in Pirate Ship; make sure the Orientation is set to Portrait, and if you selected the 2 labels per page option, make sure the Orientation is set to Landscape. Chrome’s orientation is always automatic. It is also important to make sure we have the correct Paper Size. In Chrome and Edge click More settings; and in Firefox, click Advanced. The Paper Size should be Letter, US Letter, or 8.5x11”. This is your standard run-of-the-mill paper size. Just click Print for Edge and Chrome. And in Firefox, Click Ok. Click Ok. Click Ok... and voila, your label should print as expected. If your label did not print as expected, make sure you followed each step correctly. Most issues happen from not selecting the correct Label Format in Pirate Ship, or by not selecting the right Paper Size or Orientation in the printing dialogue box.